The Spanish Navy Headquarters, located in Madrid, comprises a series of departments with the necessary personnel and material to advise the Chief of Naval Staff in the execution of his duties. Chief of the Naval Staff´s Inner Cabinet. Head Office of General Services, Technical Assistance, Information and Communications Systems. History and Naval Culture Department. Under command of the Deputy Chief of Naval Staff, it is the main advisory body to the AJEMA (Chief of Naval Staff) for issues related to the Navy organization, Force readiness, and management of assigned resources. Under command of a Navy Captain or a Marine Corps Colonel, it is in charge of supporting AJEMA in his institutional, official and public relations issues. . The Master Chief Petty Officer of the Spanish Navy, advisor to AJEMA for Non-Commissioned Officer´s issues, is also ascribed to his Inner Cabinet. 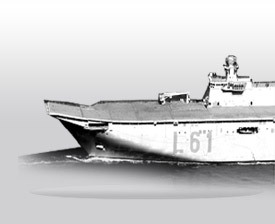 This Division comprises all information, communications and general services of the Spanish Navy like information systems, publications, statistics, operational research, standardization, astronomy and geophysics issues, security and life-cycle maintenance. Operational and Statistical Military Research Cabinet. Information and Communications Exploitation Systems. This department is responsible for the protection, conservation, cataloguing, research and dissemination of Naval History and its cultural and bibliographic heritage. Naval Culture and Historical Institute. Under command of a Judge Advocate General, it is an advisory body to the AJEMA for legal and judicial issues. It controls and monitors the financial and economic management of the Navy. It is in charge of dealing with issues related to rescues, towing, findings, and underwater archaeological digs.